Coppell High School sophomore Sydney de León goes through her music sheets in Karen Ruth’s eighth period Musical Theatre class. 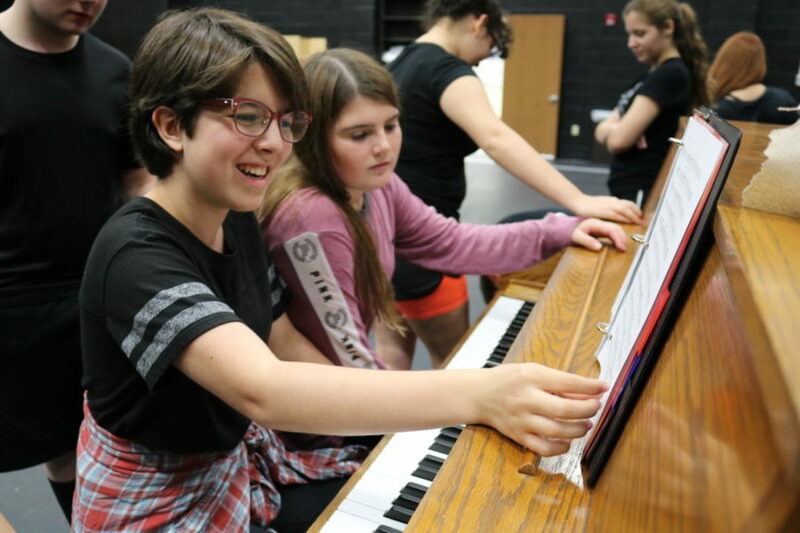 Students go through a crash course through theatre history where they learn about “The Golden Age” of musical theater, which includes the show they are currently practicing “Oklahoma!”. 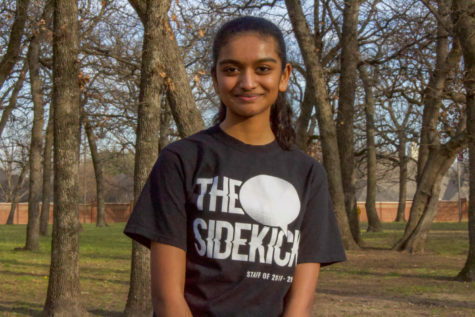 Coppell High School sophomore Sydney de León spent her summer months performing a total of five shows at OhLook Performing Arts Center. She was a cast member of “35 Millimeters”, “Cabaret”, “Beauty and the Beast Jr.” and both showings of “Be More Chill”. 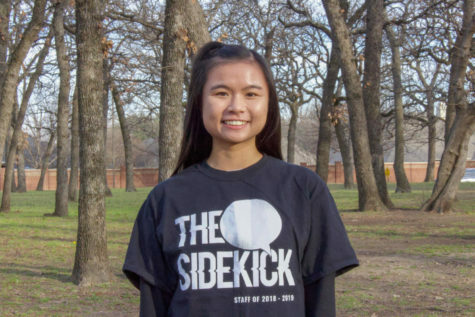 Her passion during the summer stemmed from the love she has developed for the art since third grade, specifically the opportunity it gives for exploration of personality and physicality. The contrasting roles she played over the summer gave her freedom to truly push the extent of her abilities. From developing a backstory from only the title the photographer in “35 Millimeters”, to finding historical accuracy as Rosie in “Cabaret”, to playing the lead role of Belle in “Beauty and the Beast Jr”. to creating an entirely original personality as a member of the ensemble in “Be More Chill”, de León was able to flex her creative muscles and go deeper into the character portion of theater. De León will be in the upcoming CHS production of “All Shook Up” as a part of the ensemble.